The Armenian Democratic Liberal Party (ADL; in Armenian, Ramgavar Azadagan Goosagtsootioon) was founded in Constantinople on October 1, 1921. It is considered the continuation of the first Armenian party, the Armenagan Organization, which was created in 1885 in Van. The De mocratic Liberal Party was the result of the alliance of four liberal and conservative parties from Western and Eastern Armenia: the Armenagan Organization, which had lost its headquarters in Van after the genocide; the Armenian Constitutional Democratic Party (1907-1921), which had acted within the frame of constitutionalism in the Ottoman Empire after the Ottoman Revolution of 1908; the Reorganized Hunchakian Party, a right-wing split of the Social Democrat Hunchakian Party after 1896; and the Armenian Popular Party, founded in 1917 in Tiflis (Tbilisi) after the model of the Russian Constitutional Democratic (Kadet) party. The party advocated liberalism and capitalism, while the other two political parties, the Armenian Revolutionary Federation and the Hunchakian Party, had a left-leaning platform. For the next seventy years, the action of the Democratic Liberal Party, as well as of the other two, was limited to the Diaspora, since Armenian political parties were banned by the Communist regime in Soviet Armenia. Its position, nevertheless, has consistently been one of support for Armenia, regardless of the regime or government in charge. The party established its main headquarters in the Middle East (Egypt and later Lebanon), with branches in various communities, particularly Syria, Greece, France, the United States, Canada, and Argentina, publishing newspapers and magazines in some of them. Nowadays, it has the following media in the Diaspora: Zartonk (Beirut), Arev (Cairo), Nor Ashkharh (Athens), Abaka (Montreal), Nor Or (Pasadena), The Armenian Mirror-Spectator (Boston), Sardarabad (Buenos Aires). It has had representation in the Lebanese Parliament since 2000 as a member of the Future Movement chaired by the late prime minister Rafik Hariri (now called March 14 Alliance). After the independence of Armenia and the disappearance of the one-party system, the Democratic Liberal Party of Armenia was founded in 1991 as a local counterpart to the Diasporan party. 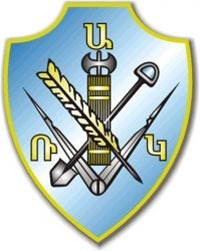 Various rifts within the party caused the formation of a second party, the Armenakan-Democratic Liberal Party, in 2009. Both parties were unified in 2012 under the name “Democratic Liberal Party (Armenia).” The newspaper Azg, one of the most respected press organs in Armenia, was founded by the party in 1992, but in the last few years became an independent, non-partisan newspaper.